Isofix anchor points come as standard in all new cars and are built in to lots of older models as well. They’re designed to make installing a car seat much easier, which lowers the risk of getting it wrong. Even a Best Buy car seat won’t offer full protection in a crash if it hasn't been installed properly. You can find Isofix connectors on baby car seats (Group 0+, i-Size), toddler car seats (Group 1, i-Size) and also on some Group 2/3 high-backed booster seats, although Isofix connectors on a Group 2/3 seat don’t work in the same way as they do for baby or toddler car seats. Are Isofix car seats safer? We've seen good and bad test results from Isofix car seats in our crash tests across all car seat groups. Find out which are the best and the worst Isofix car seats. Research into child car-seat fitting, including our own, shows that car seats are routinely fitted incorrectly. And the latest figures from checks carried out by car-seat fitting experts Good Egg Safety show that a large proportion of stores fitting car seats are still getting it wrong. In 2016, Good Egg Safety checked 4,276 car seats and found errors in the fitting of 66% of them. It's still possible to make mistakes with Isofix seats but they are, in general, easier to install than belted seats. This is because you simply plug the Isofix connectors into the anchor points found on the back seats of your car. On some seats there’s a third anchor point needed. For example, some baby car seats come with a support leg (a prop leg which extends from the seat down to the car’s floor). 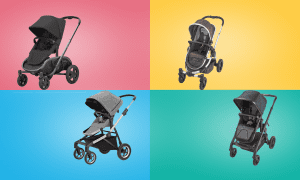 Find out more on What are Isofix baby car seats? If you have Isofix anchor points in your car, we'd recommend using an Isofix child car seat. Some car seats with Isofix connectors can still be used with just the adult car seat belt (if you wanted to use the same seat in a car that doesn’t have Isofix connectors, for example). Our car seat reviews explain which installation methods you can use with each child car seat we test. When a car crashes it stops suddenly, but the child car seat and its passenger carry on moving. A child car seat is designed to protect your child by holding him or her in place, absorbing some of the forces of the crash and actively controlling how the body moves, to reduce injury to internal organs and delicate areas such as the head, neck and abdomen. When a seat is installed using a seat belt, there is some give in the belt. This means the seat moves slightly more in a crash, but the force is transmitted to the seat, and hence the child, because of the energy absorbed as the belt flexes. With Isofix mounts, the connection between the seat and the car is more rigid and more of the crash force is transferred between them. In a sideways impact, the car seat is often held more firmly on the seat, so there can be less sideways movement and more force is transferred to the seat. However, some Isofix car seats now have connectors that allow for a bit of sideways movement to compensate for this. Our testing shows that car seats with Isofix connectors can sometimes get a worse overall safety score than the same seat installed using the adult seat belt. In a car crash the car rapidly decelerates, but the car seat and child in it carry on moving. Often the actual difference in safety of the seat will be negligible. Some Isofix versions of car seats do better overall than their belted versions. 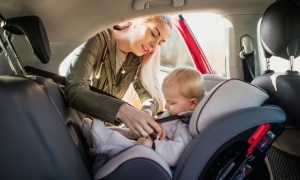 The key thing to remember is that Isofix was introduced to make fitting a baby car seat or child car seat much easier, and to lower the risk of getting it wrong. If a seat is installed incorrectly, it won’t give as much protection as it’s designed to, which could lead to a higher risk of serious injury. If a seat can be belted in as well as connected using Isofix, we'll always tell you how it performed in our crash tests in both modes. 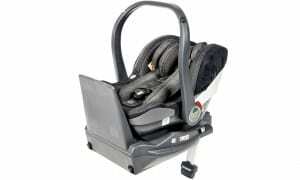 See all our Isofix car seat reviews. See all our reviews of car seats with Isofix or belt installation.